Once more into the vault my friends, once more into the vault. Step back in time, to a time when the modcast was young and fresh. Take a giant step outside your current listening constraints and journey with me all the way back to the spring of 2009. I've opened up the vaults and dusted off a classic modcast that I think you'll enjoy. Again. 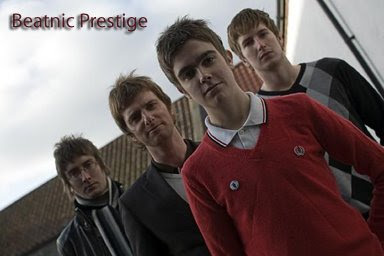 This week on the modcast you will be getting a blast of new tracks from Chris Richards, Beatnic Prestige and Maximo Park. You'll also get treated to some acid jazz Mother Earth, power pop from Bronco Bullfrog and even gospel punk from Mercy Seat. I've got a feeling . . . you're gonna like it.